Mobile climbing units are safe, fun and easy to operate! They are great for kids and adults and fit almost anywhere - indoors or out! Our units are equipped with "Space Saver(tm)" trailers that work both indoors and outdoors. Rockwalls are great for team building activities, coporate events, promotions, advertising, fitness centers, school functions and fundraisers. 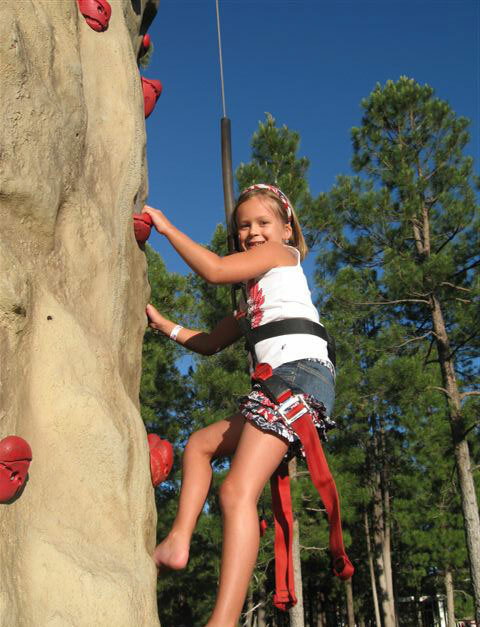 Kids of all ages will experience a new level of courage and accomplishment. Climbing Surface Area: 312 sq. ft.